We would all like to welcome you and your child to Cocoon. We know that starting nursery may feel like a big step for you and your child and that there are some things that you may be worried about. Change can be challenging for anyone and especially so when a young child is involved. We want to reassure you that we will be here, every step of the way supporting you and your child and available to answer all your questions. You, as a parent are your child’s first and foremost educator and we value your input into your child’s learning. We encourage you to share with your child’s key person any significant events and interests in your child’s life, which we can celebrate, extend and incorporate into our daily planning. You can do this verbally or you can write in your child’s communication books. Your key person will also write a small account of your child’s day in these books if they are on an early shift and won’t get to see you at the end of the day. You will all have a date for a home visit and a start date. The home visit can be very special for a child - often children remember for a long time who came to visit them and what they did. The home visit gives us helpful information about your child and it enables your child to begin an attachment with their key person on “home territory”. Children settle into Nursery/pre-school care in lots of different ways. Some children will confidently settle into the room as soon as they come in. Others may be nervous and anxious about leaving their parents. Most children will be somewhere in between. Try not to worry if your child experiences difficulties - it is a very normal part of a child’s development to be anxious, nervous or angry about starting nursery. We also recognise that many parents will find this difficult and sometimes upsetting process. We hope that we can use our experience to support you and your child in whatever way suits you. Please talk through the settling in policy with your key person when we gather into groups. We aim to provide experiences which are suitable to each child’s level of development and which will promote further learning and extend the child’s thinking. Our curriculum starts with the detailed observations we keep on all the children. Extended day morning. This includes breakfast and activities to choose from. 11.30 Lunch –We have a policy on supporting children at lunchtime which you are welcome to see. 12.30-3.15 The afternoon session -again children can move freely in and outside, healthy snacks are available and the session ends with Island Time. 12.45 is the routine sleep time, but children can have a sleep whenever they are tired. 3.45–5.45 The Afternoon Extended Day Session. Island Time in Cocoon is when we get together for 15 minutes in the morning and afternoon in our key groups. This is a quiet time where we may share stories, sing songs, celebrate birthdays or other important events and talk about what we have done in the session. Lunch is at 11.30 and tea (if your child stays for tea) is at 3.45. We also serve breakfast from 8.00-9.00 and we have a snack in the morning and afternoon. Our menus are displayed outside in the main foyer. They are put together by a dietician and are tasty and nutritious! We try to sit the children in their family groups or with their key worker. The children have their own placemats with their photos and any dietary requirements clearly written on them. Please let your key worker know if your child has any dietary needs or allergies so we can adjust their meals accordingly. We encourage independent eating at mealtimes including scraping plates at the end! Mealtimes are also a time for conversation – talking about what food we like, what we eat at home etc. Please bring in nappies, wipes and cream to be kept in your child’s named bathroom box. We support families with toilet-training and are happy to discuss the issue and share experiences. Don’t worry about ‘accidents’… we are used to them and we are sensitive to how children and their families feel during toilet training. Here in Cocoons we have a shared set of rules which we talk about with the children and sensitively encourage the children to follow. The Cocoons we are fully committed to Haringey’s Equal Opportunities Policy. We aim to support all children in feeling good about their identity, culture and languages, and to support all children to access the curriculum. The Cocoon room includes a number of children with special educational needs - like the rest of Stroud Green School. We believe that inclusion of children with special needs benefits everyone: it means that the nursery reflects the diversity of the wider society; it means that children are used to difference and different capabilities from an early age; and it helps us to focus on the individual needs of all children. Children generally have a sleep in the afternoon however we follow your child’s sleeping pattern so we can be flexible with times. Sleep time takes place in the sleep room and its usually the key person who will support the children at this key time. If your child needs a comforter for naps such as a dummy please bring these in with you. · We have full day care places for children aged from Two to three. · We also have places for children who are eligible for Haringey’s Free for Two’s programme. · There are a number of targeted places for children referred from Haringey’s Early Childhood Network Panel. 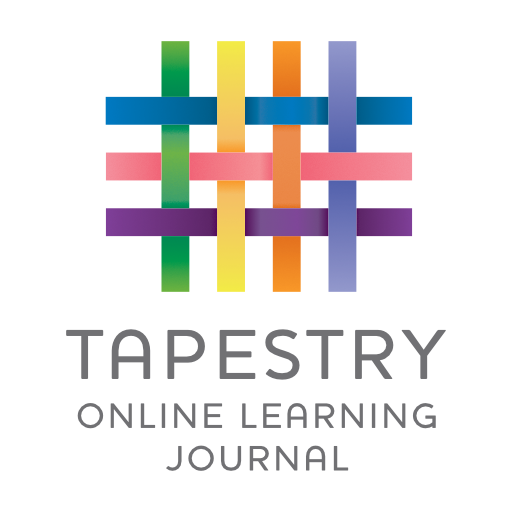 Click Below to find out more about our online journal Tapestry! Please fill out and submit our online application form using the link below.